Gandhinagar, Ta. 22:. 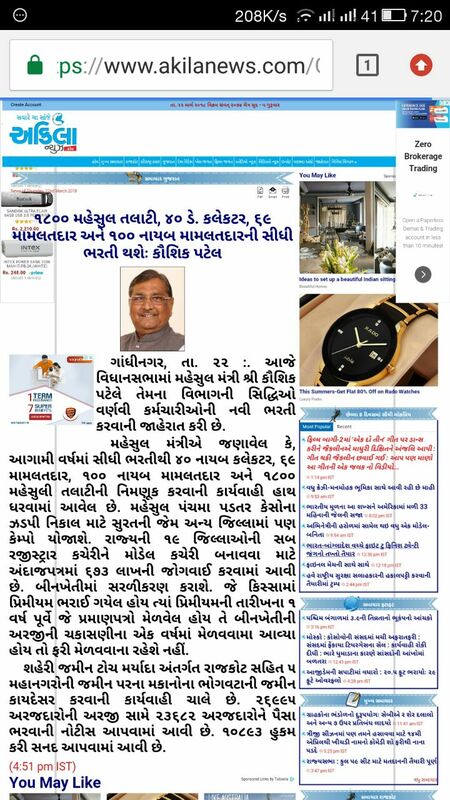 In the Legislative Assembly, Revenue Minister Mr. Kaushik Patel has announced the recruitment of the employees, who have described the achievements of their department. Revenue Minister said that in the coming year, the process of recruitment of 40 deputy collectors, 69 Mamlatdar, 100 deputy Mamlatdar and 1800 Revenue Talati have been taken by direct recruitment. 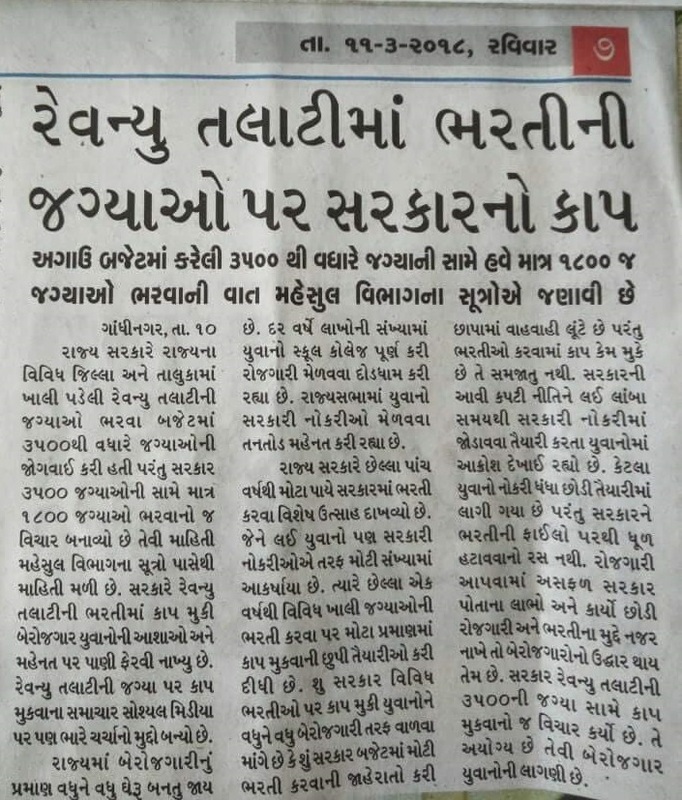 For faster disposal of cost cases in revenue department, camps will be held in other districts like Surat. A provision of Rs 673 lakh has been made for the budget to create a model office in the sub registrar office of 19 districts of the state. The simplicity will be simplified. In the case where premiums have been filled up, the certificates that have been received 1 year before the date of premium will not have to be recovered if it has been received within a year of verification of the application.